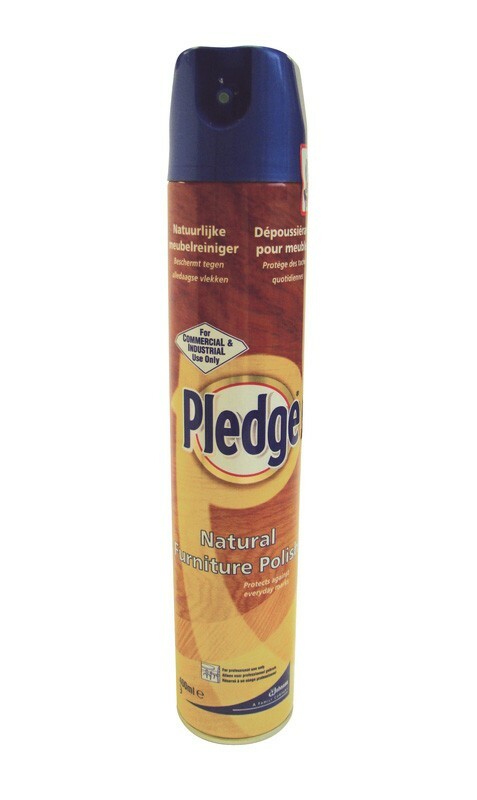 Pledge Professional Natural Furniture Polish provides your furniture with a superior care and protection from everyday marks, ensuring a beautiful natural finish on all surfaces, especially wood. Pledge's unique formula contains a blend of waxes and conditioners, which easily remove dust and dirt to clean and protect from daily wear and tear. Helps nourish and protect wood. Also available in a smaller, 250ml can. Full case pack size - 12 x 400ml. Shake can well before use. Spray from approximately 25cm from surface. For best results polish immediately with a soft, clean cloth. For small items spray onto a cloth then dust as usual. Do not use on floors or the inner surfaces of baths. Please Note: Not suitable for use on unsealed wood.